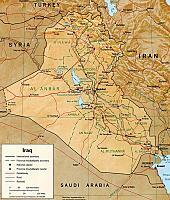 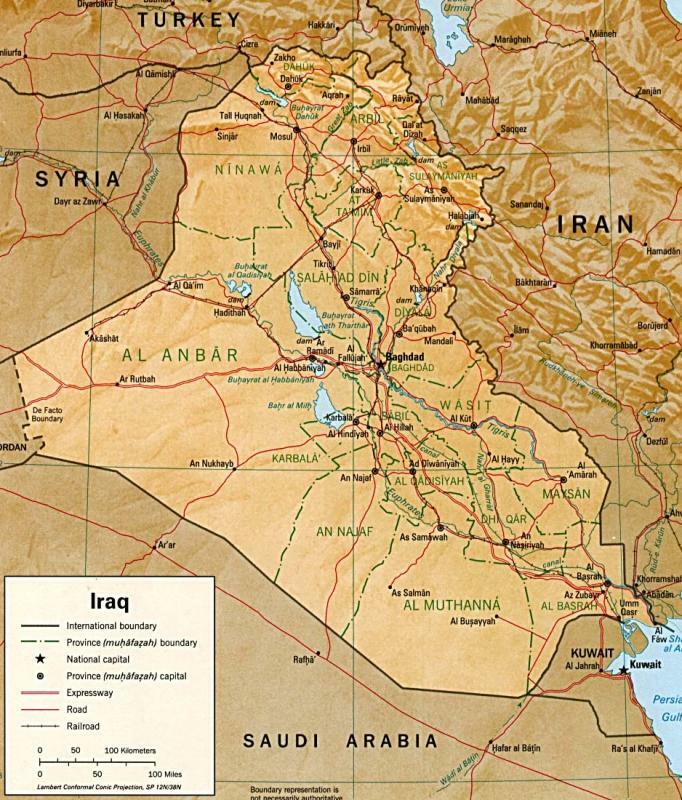 Mudaysis Airbase is located in Western Iraq approximately 251 kilometers West of Baghdad. 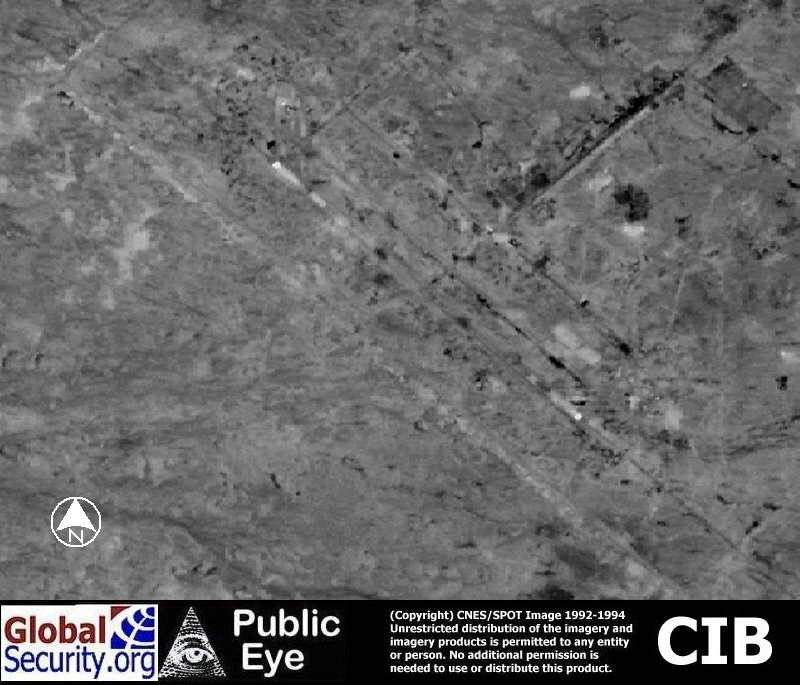 The airbase is served by a single 9,800 foot long runway. 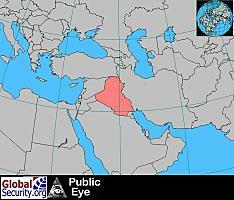 Mudaysis occupies a 18 square kilometer site and is protected by a 18 kilometers security perimeter. 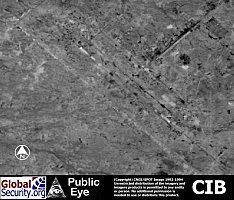 According to the "Gulf War Air Power Survey, there were 12 hardened aircraft shelters. 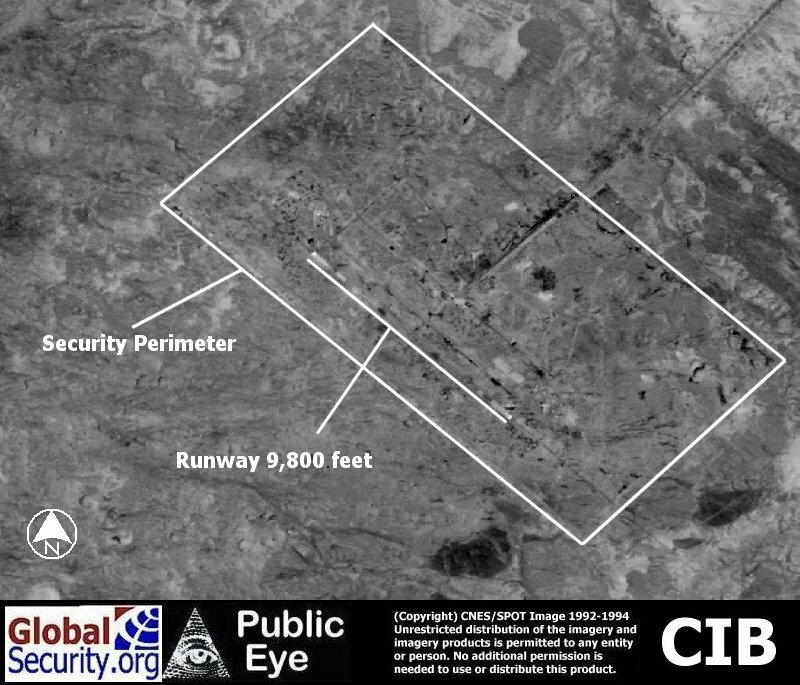 At the each end of the main runway are hardened aircraft shelters knowns as "trapezoids" or "Yugos" which were build by Yugoslavian contractors some time prior to 1985. 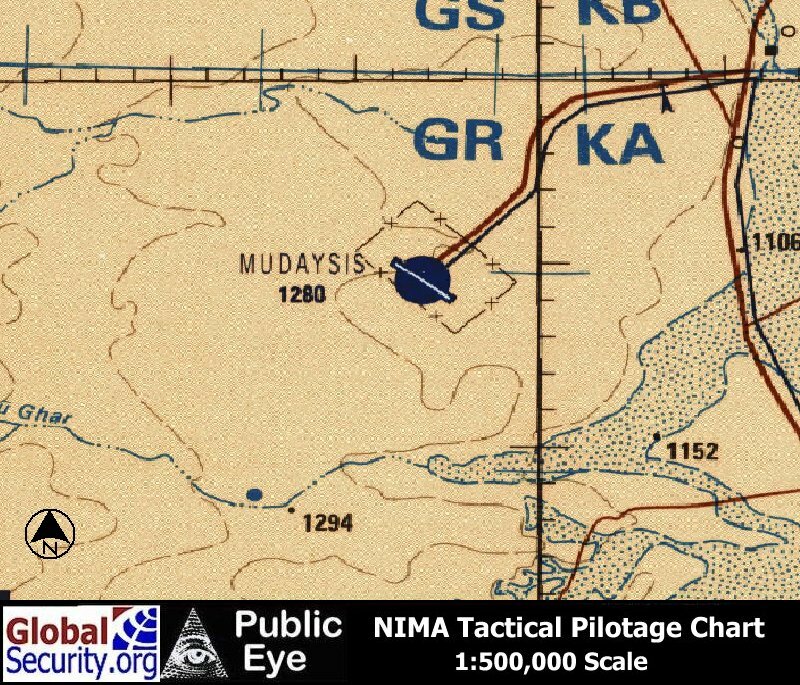 Russian 1:200,000 scale map of Mudaysis Airbase as of 1985. 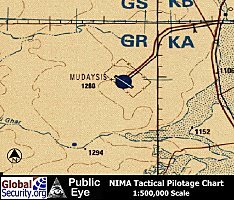 CIB overview Mudaysis Airbase as of 1995. 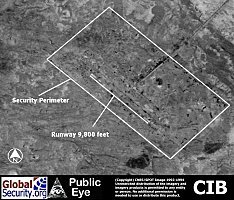 Mudaysis served by a single runway measuring 9,800 feet.